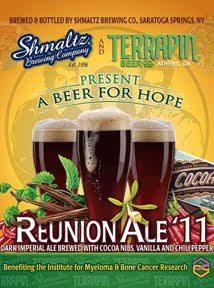 This has been brewed for a great cause. Instead of me copying & pasting the description, check out the link at this other very cool beer blog HERE. - Nice somewhat cloudy dark molasses colored ale with a big frothy beige head that has settled to a thin spotty thicket of foam. Lace all about the glass. - Very light, but good grainy smell. Oats, woody grain and light cocoa. Lovely vanilla and floral aromas as well. All together it smells light, but very good. Little burn back in the sinuses too from the peppers. - Smooth creamy vanilla over a bed of light bready grain. Light cocoa, and grassy bitter hops. Nice slightly tart finish and a subtle pepper burn. Will warm up nicely I am sure. Little roasty touch, and woody earthiness. Very well balanced and light. 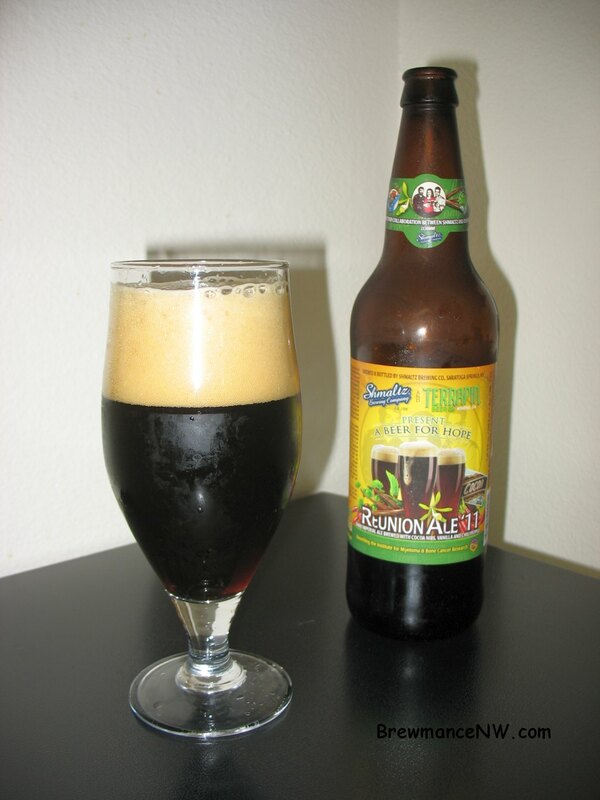 - Medium bodied brew which is a bit chewy and dry. Overall very easy to drink, and is well carbonated with what seems to be a killer yeast. Very small bubbles, and a perfect match for the creamy body and flavor. Little chalky. - This is an impressive beer. No flavor addition overrides the other in character. It is a very well brewed beer, and very balanced... and is for a great cause. This beer represents a true art form, and mastery in brewing. It is for me, a must have.